There’s been an art hashtag going around on social media #MeetTheArtist, where the artists would draw a self portrait and share their likes and dislikes in any medium and style he/she wanted. It has really interesting and fun to see all the quirks and personalities behind each artist so I decided to give it a go too. I didn’t want to put some common things, after all, the purpose of this is to get to know the artist, so it took me a while to dig deep and think on an equal amount of dislikes and likes. What you see here is basically my everyday work outfit (although sometimes those leggings are swapped for some pajama pants and I throw a fluffy robe on top when it’s really cold – perks of working from home) and some bits and bops about yours truly. A little roundup of bits and bobs I’ve been working on recently, as well as, some new pieces from my portfolio. February sure is flying by – phew! The internet is full of resources, websites, ebooks and articles that can help bloggers and artists manage their business, increase their productivity and make things run smoother. Today I’m going to share with you some of my favourite, go to online resources, that I use very often (some even daily) to run my business, that I find extremely helpful, and hopefully you will too! To me, Dropbox is a quick fix on USB pens. Besides using it to share project folders with some clients, I save the files I need on my laptop and they are synced automatically to all my devices (they have apps for iPads, iPhones and Android users). For example, most of my Instagram pictures are first taken with my Samsung camera and then I upload them with dropbox to my tablet or phone, edit them there and then I finally upload it to Instagram (long process I know, but it’s worth it). Or if I want to post a wip picture, I simply print screen my laptop screen, upload to Dropbox, and then it is on my tablet, ready to be uploaded to Instagram. Another feature I find really useful is that once my files are uploaded, I can work without internet, anywhere I go – I just open dropbox and there they are. 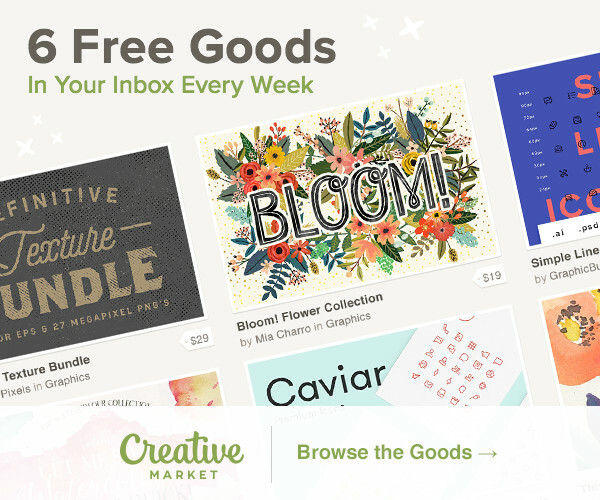 I started using Mailchimp when I created my first monthly newsletter. I use it to keep my clients and subscribers updated about new blog posts, new work and other bits and bops about my business. If you’re not familiar with email marketing and newsletters and want to get started, I’ve written a blog post on ‘How to set up a newsletter’, using Mailchimp. I find it to be super user-friendly, easy to edit and customize, and if you’re not keen on investing in a paid package, they have a very good free plan, that includes a free account signup, 2,000 subscribers and you can send up to 12,000 emails a month. I think that most of us have been there: you’re working on a project and you know you have that perfect font on your computer, but among your trizillion fonts you can’t seem to find it and/or remember its name. Yes, I’ve been there. Or when I’m working on a creative branding project and I want to have a full view of what fonts I have to pick a few to try, it’s time consuming to go through all of them using the type tool on Illustrator. BUT, worry not! Three years ago I found the light at the end of the tunnel. Ever heard of Wordmark? No? Now you have and you’ll thank me later! On Wordmark, you simply type in any word or phrase you want, and the website loads your word in every.single.font you have on your computer. You can change the font size, make it smaller or bigger, see in negative or positive, see the fonts you clicked/selected at the end – this online tool has saved me hours! 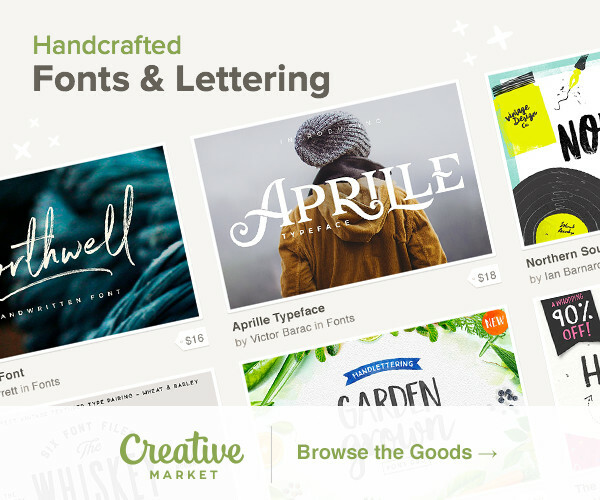 If you are on the hunt for some good, free, high-quality fonts, look no more. Although they don’t have a huge collection, Lost Type has lots of great fonts available. Note: If you are planning on using the font for commercial purposes you will need to purchase a commercial license. It allows you to use Lost Type fonts in situations where the typeface is used for commerce, including projects like logos advertising campaigns, printed goods, websites, software, e-books, etc. Other sites with free fonts: DaFont and FontSquirrel. Next month I’ll be taking Design Garden ‘Illustrating Children’s Picture Books’ 5weeks e-course and I couldn’t be more excited for it to start. The course will be taught by Sabina Radeva and Denise Holmes and it will cover a lot of interesting subjects, from book dummies, character development to agents and publishers. Children’s illustration is one of my biggest passions and earlier this year when I found out about this class I knew it was going to be one that I couldn’t miss. I’ll be blogging about my experience during the course and if you are interested in joining too, class starts on October 16th and there’s still some places left, at a late bird fee of £228. Learn more about the class or sign up here. On September 24th I uploaded my entry for the Lilla Rogers Global Talent Search 2015. The brief was about a young woman called Antoinette and a day in her life, favorite places and things she is drawn to. From here we were supposed to design a pair of sneakers that Antoinette would like to wear when riding her bike to work. After reading the brief over and over I sat down with my sketchbook and started taking notes on Antoinette’s interests and preferences, favorite patterns and typography, color trends and other bits before picking some of them that I knew they would work well with my own style of work. With that I ended up exploring the vintage, charming yet quirky side of Antoinette’s life, mixed with her love for vintage grey engravings of small animals, peonies, odd combos, floral embellishments with a touch of Parisian perfume bottles in the form of bird cages. These are some of the sketches and although some didn’t make it to the final piece, I really enjoyed the research and sketching time. My favorite ones turned out to be the vintage inspired animal engravings that I did with a soft graphite pencil.